Cruciferous Veggies - Let Me Introduce You! Cruciferous veggies are in full supply at the markets this time of year, I simply can't get enough. That's a good thing - why - because they are good for you! This family of nutrient rich veggies includes cauliflower, broccoli, radishes, turnips, bok choy, cabbages, Brussels sprouts, romanesco and greens to name a few of those in season at the markets these days. They are high in fiber and low in calories. Scientists also think they have special properties in fighting cancer due to their significant content of phytochemicals, carotenoids and glucosinolates. They are rich in a variety of nutrients as well, including vitamin A, C, E, K, and folate. There are many ways to enjoy this family of veggies, but to get the biggest nutritional punch, raw or slightly cooked are best. Kale makes a great base for super healthy salads. 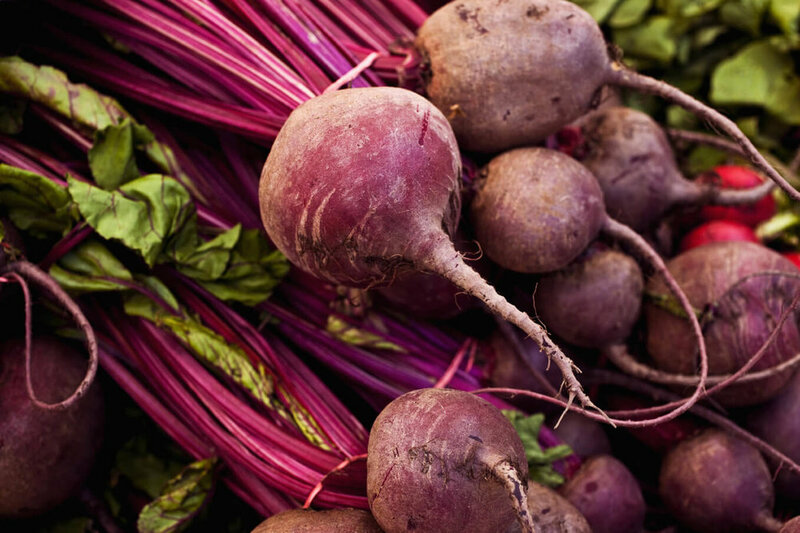 Add some radish and turnips, and you're really getting a super charge. I love roasting broccoli, cauliflower and romanesco - it really brings out the sweetness. Start with a hot oven, 450 degrees. 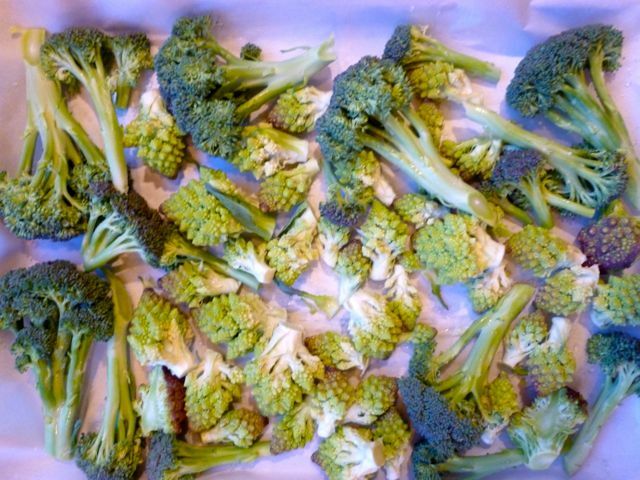 Place your veggies on a parchment lined baking sheet and drizzle with some olive oil. I like to use an olive oil mister to better control the amount of oil I'm adding. The last thing you want to do is take a great veggie and drown it in oil. Sprinkle with some salt and pepper. You can add some fresh herbs or hot pepper flakes if you like as well. Pop it in the oven for about 15 - 20 minutes. You want the veggies to brown, but stay crisp to the bite. Last week I combined 3 market ingredients: red cabbage, goat cheese and pasta in a simple yet delicious dinner offering - Linguine with Red Cabbage, from Marcia Kissel at Food and Wine magazine. I used Vera Pasta's pappardella in place of the linguine - it makes me weak at the knees, so silky! Everyone loved it! What are your favorite recipes featuring cruciferous veggies?